2. Janie Cox married Will Duncan. Their children are; Riley, Richard, Lester, Will and Estes. They lived in Bryant, Ala.
3. George Cox moved to Peoria, 111. His wife was Ann Gaddis a German lady. 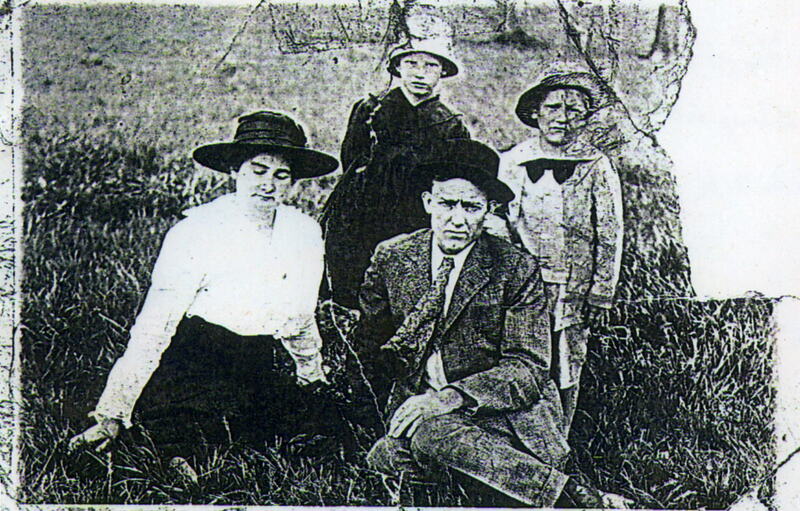 They were the parents of Paul Cox and Pauline Cox. Their son Paul disappeared and was not heard from. 4. Elizabeth Cox married Frank Finister. They lived in Mentone, Ala. They had three children: 1. Dorothy, 2. , 3. Son who was killed by a train. 5. Dora B. Cox married Fran Hale. They had two sons, (1) Arthur and (2) Cecil. They lived in Chattanooga, TN. 6. Ida Cox married Will Cagle. There were two daughters (1) Edna Bell and (2) Jessie. 7. Celica Cox married John Duncan a brother to Will. Their children are (1) Charley D. Duncan, (2) Lettie Duncan and (3) Zetta Duncan.